HAPPY NEW YEAR ALL YOGIS AND YOGINIS! Are you all set to expand your life for your own future, and for all those who touch you in this coming year? Yoga will help you on your path. Remember -- your first Introductory Class is FREE! FULL MOON MEDITATION - MARK YOUR CALENDAR NOW! NOTE: This will be a special Celebratory Meditation -- going off-script - a Party for all our Meditators who know DALE REALANDER. SHARE WHOLESOME SNACKS & BRING YOUR PERSONAL STORIES & A FRIEND! NEW HEALTH HAPPENING IN HUNTINGTON, LONG ISLAND! On February 1st, my good friend, Dr. Nane Cheung is having a grand opening of CONCIERGE "HEALS4HOME" service offering to "make your home and your body a better place to live." 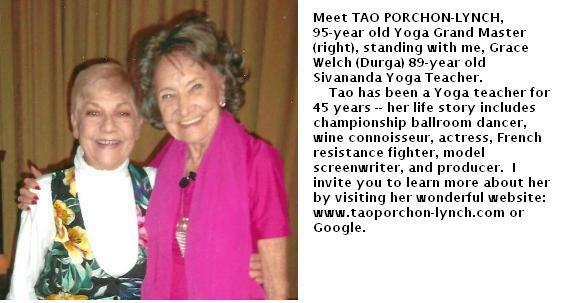 She has invited me to teach Cardiac Yoga as part of the program. For more information and appointment call 1-855-854-3257, or info@SchoolofOne.us.